I know you get an heirloom. But is it that great? Don't you have to start all over with a new sim? I'm assuming you keep all the furniture, clothing styles and town sites you've unlocked. But I'm trying to picture how it's worth losing all your friendships, hobby progress, workplace progress, etc. Although just being able to modify the sim daughter, who is really ugly, might be worth it! By the way, does anyone else find it annoying, not to say creepy, how random acquaintances barge into your sim house and hang around, and there's no way to ask them to leave? I'm still so new at the game that I have two "hobby mastery" quests. My first sim was only at level 6 in her hobby when she was able to be retired. Despite legacies being the point of the game I'm not going to retire her until she's at least completed her hobby story and maybe her occupation story, too. Starting over with those things just because my sim can be retired didn't make sense to me. Same with my level 10 chef - right now what I need most in the game is simoleons so when my level 10 chef is able to be retired I'm not necessarily going to do it. I need her short event times and larger payout (at least for the longest option) to help build a nest egg. 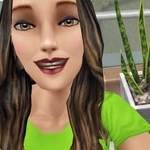 When I've been playing the game for longer I may think differently on it but for now I'm still learning the ropes and would like to use my first two sims to do that. That was my thoughts. I wondered if the heirlooms were worth what you would lose. I resisted retiring my Sims for a long time, for the same reason as you and also just because I'm attached to them. But I finally retired the patriarch of my family. He was at the top level of his career and his hobby. I found that I was "blocked" from progressing in some ways until I moved him on. My quests (the only real way of making coveted simcash, beside endlessly watching ads) had filled up with hobby progress tasks... Start a hobby. Level up at a hobby. Finish a chapter of a hobby. Complete a hobby story. And so on... The trouble was, I couldn't start a new hobby because I had only four hobbies unlocked, and my four playable Sims were already leveled up at those hobbies. By retiring him I was able to make his youngest daughter playable, so she could start the vacated hobby and complete those quests. The heirlooms you receive from retiring can also unlock new levels for careers (and maybe hobbies?) and unlock new hobbies like the piano hobby. You do eventually get to a point where it feels worth it to retire, but it's up to you when that is. For me, I don't think it's resisting retiring a sim so much as I just don't see the point of it for my game right now. My sim is now level 9 in the guitar hobby so I'm almost done with the "hobby mastery" quests. I have two quests to master a hobby and the last time I had two of the same quests (complete a relationship story) they completed at the same time. So I'm expecting both of those quests to complete at the same time netting me 14 more simcash(es?) which will then enable me to purchase my 3rd playable sim. I didn't see the point in starting over with a hobby with a new sim when I was already at level 6 with one. I also don't like leaving things unfinished so there's that, too. Retiring a sim who is only 100% in one of their stories felt like a waste for all the time I did put into their other stories. I want to complete every story and if I keep bailing out on a sim mid-story that's never going to happen. I've only been seriously playing this game for a week and a half, and downloaded the game a little over two weeks ago. (I was halfheartedly playing the first days after downloading it.) And then like half of that time was with the hot tub event. Doing the special events for that cut into what I could work on with my sim's stories. Maybe that's what's going on here. Maybe I would have been farther along with my stories if not for the time spent on that event. I'm excited at the prospect of being able to "move on" with my first sim's son (I've already decided he's going to be a doctor) but not until I finish my first sim's stories and build up some more simoleons. The heirloom just doesn't seem worth it at the moment. And it's not like I'm losing out on it, just postponing it. I don't think I will ever like retiring a sim. My sims are usually able to be retired before they finish their stories and unlock the most profitable actions. So by the time they get to that point I feel pressured to retire them before I get to fully enjoy earning more simoleons. If the idea is that you start off poor and then grow with multiple generations then at what point am I no longer poor? I get that I have more stuff now than I did before but the price of new or additional items is always increasing so I'm still poor in the sense that I've never got enough simoleons to keep moving forward. I just retired two more sims today. I had three that could be retired but I didn't want to give up completely getting 112 simoleons about every hour or 450 overnight. I'm thinking of just postponing retiring any sim from now on and just farm kids for heirloom tickets. When do you guys retire sims - as soon as you are able? Immediately after completing their stories? Waiting a few days after they can and/or complete their stories? I have yet to be happy after retiring a sim. I have held off retiring sims for exactly the reasons you articulate so well. Due to rising prices as game progresses, it seems like the further you get, the harder it is, in some ways. Unlike SFP, which seems to get easier as you progress. At least I'm not alone in feeling this way! I wasn't sure if I, personally, could (or should) compare this to SFP because I have the old daily reward algorithm but I agree completely: SFP seems to get easier as you progress while this game does not. I had just saved up 3,700 simoleons to clear some land. And then retired 2 sims so now when I'm rebuilding my simoleons I have 1 sim earning 112 and 2 earning 45 simoleons instead of 3 earning 112 (which isn't that great to being with but oh well). Next quest is to clear more land - which will cost 4,150 simoleons. Which I will eventually save up for and do because I need that 1 measly simcash for completing the quest. So less earning power to save up for a higher cost with a crappy reward. It would be so much better if the reward for events had a small increase for each generation. Like a first generation sim would earn 45, second generation sim would earn 50, third generation sim would earn 55, etc. Then I could see the appeal to retiring a sim. I know the idea is that the heirlooms will create more powerful traits which will help future generations but the difference between my sim with level 1 generosity and my other one with level 2 generosity was so minimal as to be practically nonexistent. Save yourself the frustration and hold off on retirement for a long while.